Some weeks ago our company took participate in the Poznan Business Run. This is almost a tradition for our company, because we are part of this charity event every year! The event was quite huge – over 3500 runners (700 teams) competed in this race! We are proud of our two teams, because both teams completed race as the fastest 30% of all teams! As you know, int4 love events. 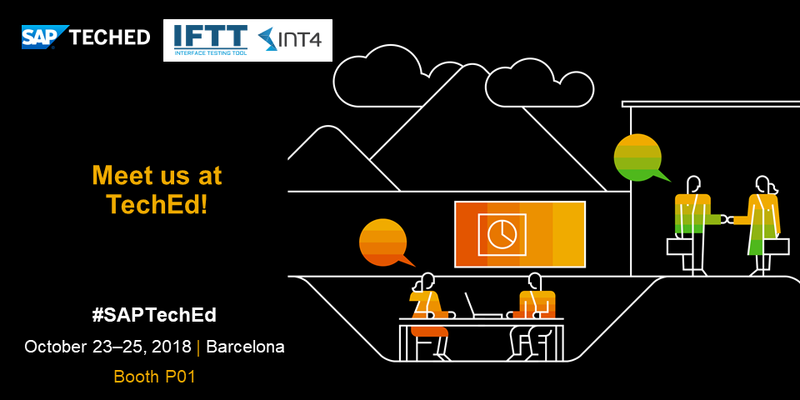 There’s another opportunity to meet our team in person at SAP Teched Barcelona in 2018 (23rd-25th October). We will be presenting our SAP certified automated regression testing and service interface virtualization software – IFTT. Thanks to int4 IFTT you can fully automate testing of all your SAP PO/ SAP AIF/ SAP CPI/IDOC flows in both the middleware and at the SAP backend system. If you want to learn more visit our P01 booth ! Moreover, we have a suprise for you there- our experts will be available for you at our booth everyday from 13:00-14:00 to answer all of your SAP PI and SAP AIF related queries. SAP developer and integration consultant since 2016. Involved in several international projects as ABAP developer, AIF developer and integration consultant. Skilled at a variety of tools and development techniques including OOP in ABAP, Process Observer, Application Interface Framework (AIF), Process Orchestration, BRFplus, Alerts, Proxy, Smartforms, Adobe Forms, SAPscripts, BAdIs, Enhancement Framework, IDocs, ALE and SAP eDocument Framework.Up-to-date and advanced ABAP programming knowledge. Experienced with SAP AIF. Very well organized, focused on the customer and business. Creative thinker, quick to get results. How to use predictive search help in SAP? IFTT: how to set up a test for a message split?